The term “minority” has not been defined in the Indian Constitution. India is home to various identities. To weigh one identity over the other depends on our consciousness or sometimes on our environment. Undoubtedly, religion is one of the major identities which is intertwined with the politics across the world. The foundation of the BJP, a right-wing party, was associated with vehemently raising the issues of Hindus. Democracy provides the equal space for the views of minorities. The history of independent India provides enough evidence to confirms the secular values of the democracy. One of the issues which I would like to raise is the under representation of Muslims in Indian Democracy. According to 2011 census, there are 17.22 crores (172.2 million) Muslims in India, they form 14.2% of the population of India. They are the second largest religious group by number behind Hindus (96.63 crores, 79.8%). According to the Pew Research in 2011, India is the home to the second largest followers of Islam. Despite that, the representation of Muslims in 16th Lok Sabha Elections was an all time low with only 22 Muslim parliamentarians. This is the worst hit in the history of Indian Parliament with the previous low being at 23, in 1957. The BJP became the first governing party in the history of independent India to come into power without a single elected Muslim member of the Lok Sabha. 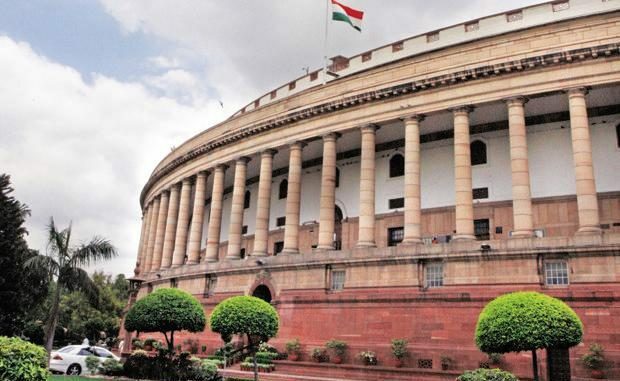 The three Muslims who have served or are serving in its council of ministers are all from the upper house, Rajya Sabha. With Muslims comprising around 14% of India’s population, this is a blot on the practice of representative democracy. I am not advocating that only a Muslim elected member could represent the views or could articulate the aspiration of their community. The bigger question is the aspirations of Muslim youth have been fulfilled neither by the Muslim elected members, nor by others. They have to be taken into consideration and should be reflected in the policies, a lot of work has to be done in providing them higher education. School dropout rate is higher among the students belonging to the Muslim community especially amongst girls but boys in general. Family planning schemes seem not to be working effectively and need more promotion in their community. ‘Almost a quarter of India’s 3.7 lakhs beggars are Muslims,’ newly released data from the 2011 census unearths. India is one of the fastest growing economies and such results are horrendous despite a high level government probe into their historical led to policy actions. Muslims are underrepresented in the nation’s police forces and over-represented in its prisons. To put all the onus of this on the conundrum of under-representation is not fair, Muslims elected members too have not paid attention to their issues. But their under-representation, specifically of educated liberal intellectual, is one of the reasons behind all this. Religious fanatics of their community as well as bedeviled Hindu fundamentalists have diverted their main issues of education, family planning, insecurity, and discrimination, among many others. Acknowledging their issues is the major step towards solving their problems. We, as Muslims, have whole-heartedly supported the right-wing BJP and had been one of the reasons to bring them to power. Another recent example of the UP 2017 state elections where Muslims in contrast to their traditional loyalty voted to BJP. It becomes political as well as moral obligations to fulfill their aspirations. At the same time, their community needs to put value on their votes given that they form a large proportion of voters.They should not be treated as traditional voters to a specific party, nor should they be discarded by another party. They should maintain pressure on the incumbent government to pay attention to their problems. Majority, Hindus in this case, too needs to confirm to one of the most amazing characteristics of democracy. In democracy the plight of the minority could be tackled by the majority. Whenever they feel that minority issues and their identities are being ignored or threatened, could be solved by changing the government.